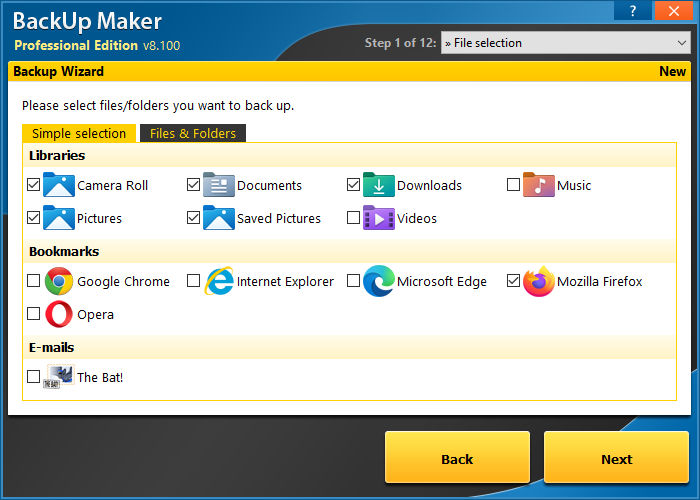 BackUp Maker automatically stores your data and at the same time offers an intuitive operation: select your data, optionally set automatization for scheduled backups, select its destination and within an instant, your valuable documents are transferred in zip format to a hard drive, USB flash drive or directly to CD/DVD as scheduled or according to circumstances. To ensure that your sensitive data remains secure at all times - BackUp Maker provides a highly secured encryption of up to 256 bits (AES). 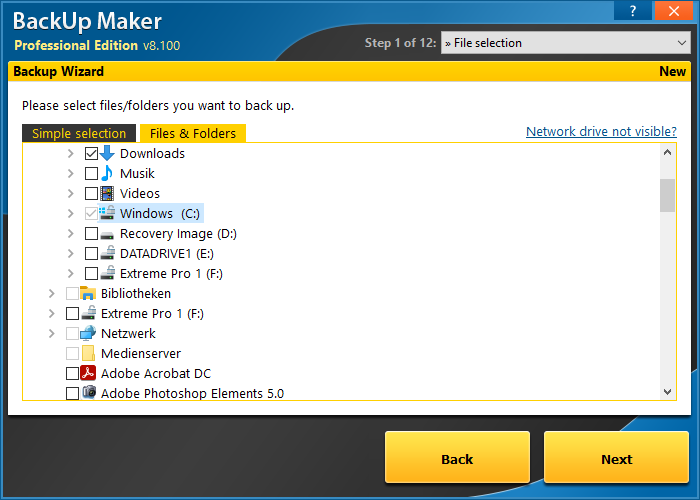 It also enables you to transfer protected backups to a webserver through an FTP/FTPS upload. 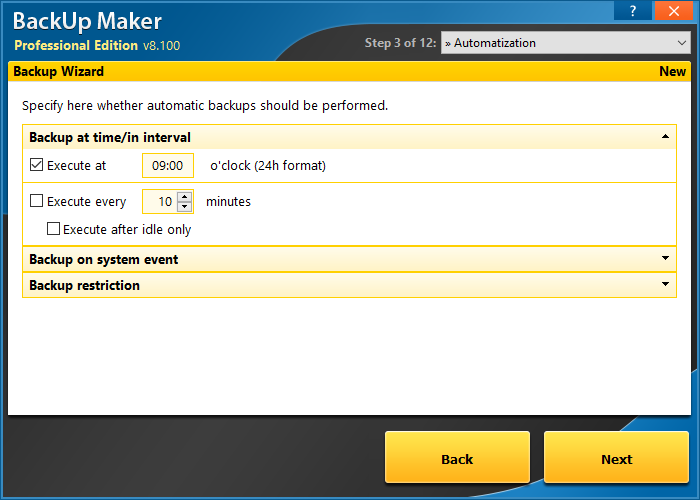 Note to security experts: You can limitlessly secure information using BackUp Maker. 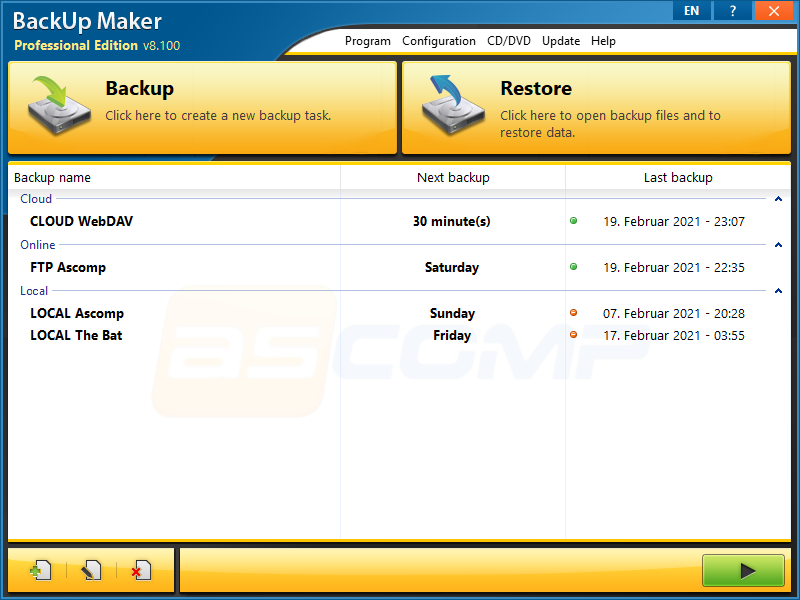 Back-up only new and changed files; create as many backup generations as needed; split the backup across multiple data storage devices and carry out random operations before or after backups! � What are the benefits available in the Professional Edition as opposed to the free Standard Edition? The Standard Editions of our products may only be used for private purposes and sometimes display an info window. The Professional Edition may be used within any commercial setting. Besides this, the info window is completely removed. � What are the differences between the private license and the company license? The private license allows the registered individual to use it on a maximum of two (2) systems � even for personal business. The company license may be used in its entirety on up to five (5) systems at the location of the registered licensee company. � How long does it take for the download to be accessible? The full version can be downloaded immediately after the order has been completed. � What is the duration of access to the download? You can download the full version from your customer menu for a period of up to 24 months at no extra cost. � Does this product entitle you to free customer service? By purchasing the full version, you are entitled to free technical support for a period of up to 24 months. � What about update policy? You will have access to free updates of this product for up to 24 months. You can then purchase an extension of updates at discounted rates. � Which operating systems can I use with this product?